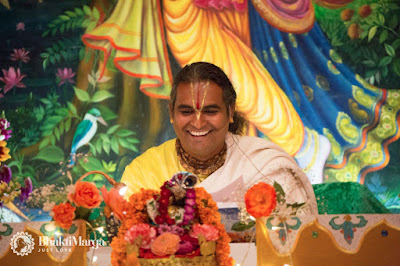 During the third day of the Bhagavad Gita course, Paramahamsa Vishwananda gave commentary on a total of four chapters. The chapters included were chapter 4 through chapter 7. Chapter 4 is called, "Jyaana Vibhaaga Yoga." In the previous chapter, Karma Yoga, Lord Krishna had instructed Arjuna that he needed to do his duty and go beyond the senses and mind. In chapter 4, Lord Krishna goes deeper into the knowledge of how to perform one's action, teaching Arjuna about which kind of awareness one should have while practicing Karma Yoga. By combining Jyaana Yoga with Karma Yoga, Sri Krishna essentially teaches that one should not only be detached from the fruit of their actions, but they should also have the awareness of the Divine at all times. "Do your duty and be free from that. By not doing their duty and renouncing everything, running away from one’s duty will not give you peace of mind, because your mind will still be attached to that. There is also this beautiful story where two friends were walking. They were going to listen to the Bhagwat Katha (Bhagavad Gita discourse). So, as they were walking to the Bhagwat Katha, they were passing by a brothel. One of them found his girlfriend. So the girlfriend said, “Come here.” He went. So the other one went to the Bhagwat. “Due to the attachment which these three gunas have created, you remain under the control of maya. But there is one way to awaken. There is only one way, and that way is to surrender to Me. Those who approach Me, those who take shelter under Me, those who have the true knowledge which I am giving, they are free from the cycle of the three gunas. 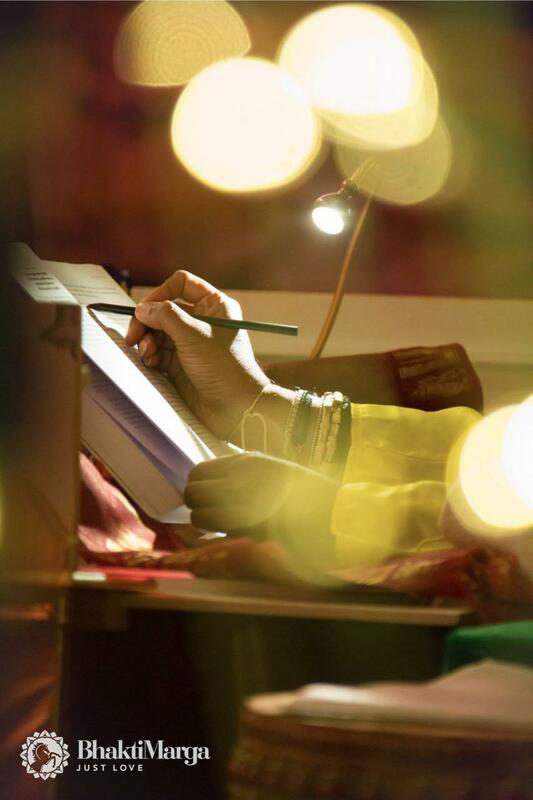 Because as I am not touched by maya, so My devotees who surrender to Me are free. Maya stopped controlling them. Those who chant My Name, those who by any means try to control their mind, and those who are fully absorbed in My service, forgetting themselves completely, those who think only on Me, they are My devotees and they cross beyond the gunas. 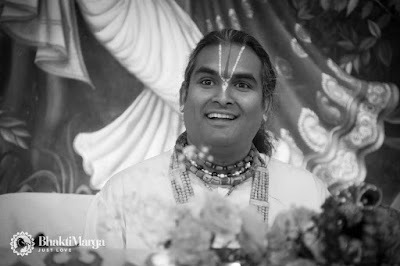 All in all, day 3 of the Bhagavad Gita course had shown to be another extensive day filled with the wisdom, love and grace of Paramahamsa Vishwananda. 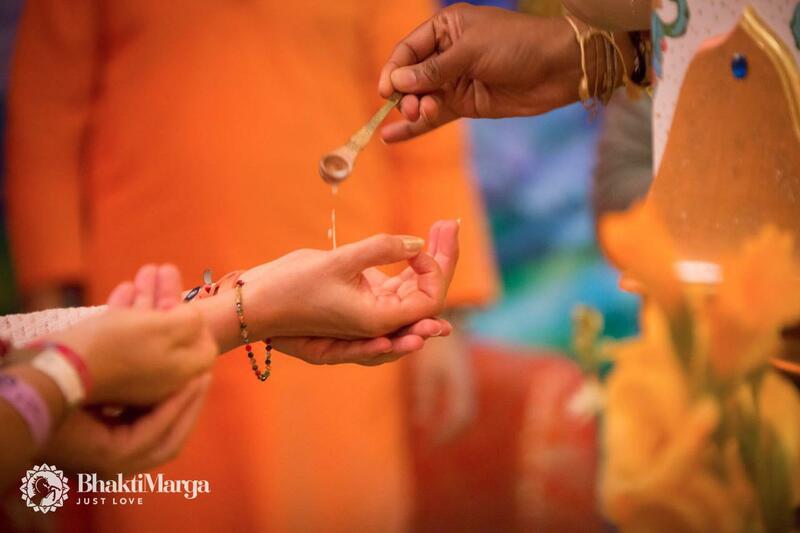 Swamiji constantly is giving us wisdom which is deeper than our mind could ever imagine. 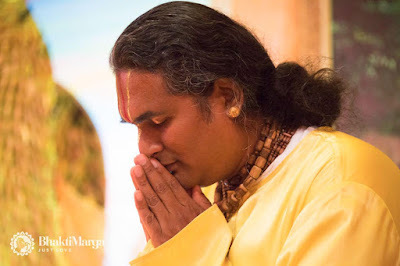 These words, when reflected upon and taken sincerely, can change the journey of one's soul to the Divine as they are infused with the Grace of a being who is ever-immersed into that Divine Consciousness we call God. Jai Gurudev!